Some of you might remember (or not) a while back I invited book clubs to consider reading and reviewing my memoir. I offered to provide free books to the first club willing to not only read my memoir, but also to report back about the experience. Shortly after, I was contacted by Sandy who told me her club was willing and able. I shared with Sandy that I wanted nothing less than complete honesty. Be careful what you ask for, right? I’m kidding. I love fair, honest criticism and praise, too, of course. 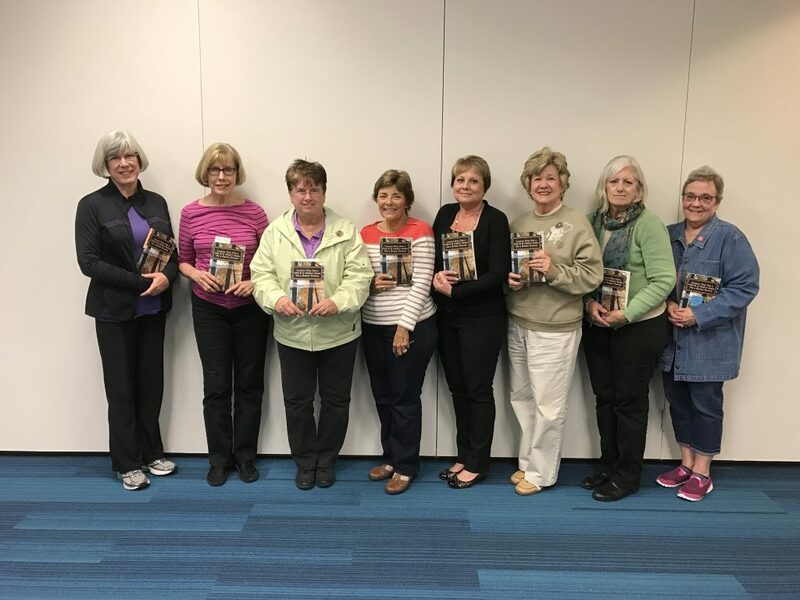 Sandy’s group read my memoir in October. Perfect timing! I sent a questionnaire for the group’s members to respond to. And now it’s time to report back. Okay, it’s past time; I’m slow. Thank you to all the ladies in this club for reading and sharing so candidly. 1. When you first read the title of my memoir, what was your reaction, and did it make you want to read it? Unsure, I am a cancer survivor, so not sure I wanted to revisit. Intriguing, as a survivor it gave me some sense of comfort being able to verbalize this thinking. Yes, I wanted to hear your story. Light-hearted; it sounded as if we wouldn’t be too depressed. 2. Did you feel the author was too angry or negative? I thought she was very honest. Never, as releasing emotion is a survival skill. 3. Do you feel this memoir will help others better understand what it’s like to be diagnosed with breast cancer and/or metastatic breast cancer? No one can understand someone else’s experience. Not having experienced cancer, I’d be reluctant to say. A book to read after the diagnosis, surgery, radiation, chemo as there’s a little more fear and anger expressed which is good to acknowledge but not to get stuck in the difficulties. I do. I knew very little. Yes, but each person’s experiences and personality will personalize her thoughts, understandings and feelings. 4. Will you recommend this book to other individuals, support groups, cancer libraries, book clubs? Yes, the more shared experiences the better. Yes, one learns the entire process of breast cancer. I’d decide on an individual basis. No, it’s not a reflection of my experience. Yes, because of your honesty and because I love memoirs. 5. Sum up this memoir in two or three words. 6. What is your biggest take-away from this book? I’ll continue to hope not to get breast cancer. Sharing your personal story is wonderful and helps lighten the load. Breast cancer can be cured if found early – have your mammogram. It’s okay to have dark thoughts and feelings. Cancer doesn’t always have a happy ending. When anger and negativity can’t be resolved, get help. I felt profoundly sad that Nancy isolated herself from every opportunity to create a positive event in her life. This should have been a bonding time between she and daughter, she and her sisters and she and other patients. If you want to live, sometimes you have to fight for your life. I get a hospital news letter which occasionally runs a cancer patient’s story. Your story and theirs – very similar. Choose life no matter the struggle. At first, my feelings were a little hurt that everyone did not love it. But immediately, okay, almost immediately, I reminded myself that first of all, not everyone likes memoirs, especially cancer memoirs. Secondly, many people will always expect a positive outlook, even regarding cancer. There was lots more feedback shared, but I don’t want this post to get too long. Half the group felt I was too negative, wouldn’t recommend the book and so on. This is probably a good reflection on how people in general feel about cancer stories, including mine. Half prefer to read the uplifting, find-the-lesson sort of cancer story, while the other half appreciates the not-so-positive outlook sort as well. I’m okay with reaching half. For now. Thank you again to all the ladies who read my memoir and generously took time to share honest feedback. I very much appreciate it. I want to stress that all the ladies were supportive and more than willing to read and share. They even agreed to pose for the photo below. And a special thank you to you, Sandy. You’re a gem. Do you read cancer books? If you do, please share a favorite or two. Does the title of my memoir make you want to read it? Why or why not? Sign up for news/emails from Nancy’s Point! 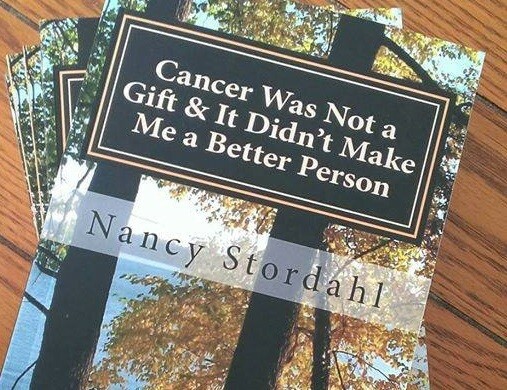 Camille, Thank you for sharing a few of your favorite cancer-related books. I will have to look into your book as well. If you do read mine, let me know what you think. Thanks again. I have not read your book but plan to some day. As a recent survivor of Stage 3A it still hits a little too close to home but it’s on my list. The title of your book made me laugh and I could immediately relate. I’m a big fan of the ‘tell it like it is’ story. Negative, positive, and everything in between. You are brave to be so open to honest review by a book club! I think you should share your book with more clubs to get a better sense of response by demographics (e.g., gender, survivorship, and age mixes). Love your blog and thank you so much for sharing your journey. Rachael, I completely understand your reluctance, but I’m glad you relate to the title. I would love more book clubs to select my book as I think there are lots of topics that would make for great discussions. Thank you for your kind words about my blog. I’m actually not brave at all, but thanks anyway. Yes, I read cancer books, memoirs and blogs. I found “When Breath Becomes Air” by Paul Kalanithi especially moving. I also enjoy Suleika Jaouad’s blog for the New York Times (“Life, Interrupted.”). I loved your book, and the title is precisely what got me interested in it. I have stage IV kidney cancer as well as stage I lung cancer (both diagnosed Sept. 2014). I see a therapist who specializes in cancer patients, and he liked the title too, as we have often talked about how putting a cheery you-can-do-it attitude on cancer can feel very inauthentic and in fact be detrimental. More power to anyone who can be positive in the face of cancer, but I am not one of those people, so I don’t appreciate anyone’s misguided pep talks. It’s not that I don’t ever think positively or seek ways to understand and deal with what is happening to me, but there are times when I can’t be positive. I also printed out the Mayo billboard you posted about a while back, the headline was something like “She never gave up. So her cancer did.” I took that to my therapist and we talked about how bad so many cancer ads are (I worked in advertising most of my career). There’s one running right now for MD Anderson which presents (to me) a real fairy-tale story about a woman’s cancer. I know it’s hard to strike the right balance with this, but they show her at one point with several medical personnel all standing around her as she’s getting ready to go into a CT scanner. I’ve had many scans, and I’m here to tell you no one has ever been in the room with me–they go behind a glass wall. In this same commercial, the woman is getting chemo, but she still looks fabulous with all her eyebrows and lashes intact, but wearing the obligatory “cancer turban”. And in the end, everything turns out great as she meets with her doctor, and they both heave a sigh of relief. Do I seem angry? Not positive enough? Perhaps there is a difference when you are stage 4 and still in treatment and will likely be in continuous treatment until you die. I knew almost nothing about breast cancer before I read your book. For instance, I had no idea how complicated reconstruction is. I am surprised at some of the book club’s comments that your book was too negative. I did not feel that way at all. In fact, I thought you held back on the negativity. Except for some of the breast cancer-specific comments, I have heard all of the same things you have heard such as, “Everything happens for a reason.” I know that until someone has cancer or is close to someone who has it, they just don’t understand how insensitive and off-base these comments are. I really try to cut people slack for this, but it’s hard. So yeah, cancer wasn’t a gift for me and it hasn’t made me a better person either. I just finished When Breath Becomes Air and I enjoyed his perspective as well. Sandy, I’ll have to add it to my list. Thank you. And thank you for all your help in setting up your book club’s reading and reviewing of my memoir. You were a huge help! Denise, Thank you for your insights. I really appreciate hearing from someone who has a different sort of cancer. I’ve wondered if my book would be relateable to those with other cancers. I agree about those ads, in fact, I’ve been meaning to write a post about that topic. Just haven’t gotten around to that one yet. Sometimes they are pretty annoying, though as you said, I suppose it’s hard to strike that balance. And that billboard post you mentioned (thank you), I think that’s probably the post I’m most proud of. I still cannot believe how any ad developer could not see the hurt that message could invoke. I’m flattered you took a copy of it to discuss with your therapist. That means a lot to me. It’s interesting how many people prefer to only hear/read the uplifting cancer stories, which I believe means the just-stay-positive kind. To me, sharing the harsh reality is uplifting, if that makes sense. Clearly it doesn’t to some and does to others. Which is fine. Thank you for reading my book and sharing some thoughts about it. Hope you’re doing okay. My best to you. When I was first diagnosed with MBC a year ago, I read “When Breath Becomes Air” and “A Series of Catastrophe and Miracles.” Both were written by patients with stage 4 cancers. I’ve read your book and like your honesty and candor. Amy, Thank you for sharing those two book titles and thank you for reading mine. I can see why someone commented that cancer should be a great bonding experience and it’s often good to look for the positive in anything … but … no thanks. I’m sure we can find ways to bond other than cancer! Lindsay, You know me, I just don’t think there has to be a positive in every single thing. Besides, I think we did bond during that time…but yeah, we certainly can find better ways to bond. Thanks for reading and sharing. Nancy, my comment is going to be all over the place, because your post got me thinking a lot. I may be over-reacting a little with what I am going to say, but I am not a happy camper these days. I’ve been thinking about the feedback you received about your book. And about politics. And about how some people view the world. And how different behaviors have different impacts in our society. I guess it’s hard for me to understand people who are dismissive of other people’s feelings (and other people’s rights). And maybe it’s more related to the fact that not everyone wants to expose themselves to their own reality. For instance, although I am still on remission, this isn’t my entire reality. But it’s also challenging for me to ignore all the patients who suffer and those who are dying. It’s hard for me to ignore that it could be me or another family member who dies next. Oh! And what’s up with people calling realists negative? And do people really think that by staying quiet, and brushing off our truths, that this would improve anything? That there will be more progress because we are being “positive” at all times? If we look at history, changes were introduced thanks to those who spoke up (no matter how painful it was). Those who spoke truth. Those who considered that other lives were important too. I love the title of your book because of our similarities on how we view cancer. It’s crazy to me that others would view cancer as a gift. And I will never see it that way. Not when I’ve lost family members and friends to this terrible disease. I don’t think your book was negative. It was real. And sometimes real isn’t pleasant. And it’s OK to express those feelings because how else are we going to evolve? I am planning to read “When Breath Becomes Air” next. Almost done with “Bright-Sided” – another excellent book! Thank you for recommending. Rebecca, I must admit, at first I was hurt the entire group didn’t love my book, but then I realized the 50/50 split was probably pretty typical and gave me a nice reminder that many people will never see cancer the way I see it. And this is okay. I only wish to have my viewpoints about it honored and respected, too. And yes, sometimes real isn’t pleasant at all. I just ordered “When Breath Becomes Air.” Looking forward to reading it. Thank you for sharing your insights. It’s understandable that at first you felt hurt that everyone in the group didn’t love the memoir. As writers, we put our ideas out there into the world, and the world responds — sometimes it goes our way and sometimes it doesn’t. I thought your memoir was excellent, but everyone reacts to it differently. I know all authors experience these kinds of issues. Beth, You are right, of course. Thank you for your encouraging words. I haven’t read your book yet, but I will add it to my list! I have only read one cancer memoir so far – it was called “five lessons I didn’t learn from breast cancer (and one big one I did)” by Shelly Lewis. I’d recommend it. I am almost surprised that half the people liked your book – only because it seems like people have this inexplicable crazy bias toward believing that cancer is meant to be this great transformative experience that should be approached with gratitude. I thought those of us who didn’t feel that were in the minority- I’m heartened by the response to your book! 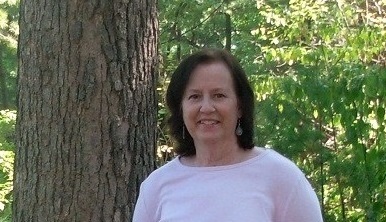 Noreen, I like the way you think regarding half of the group members liking my book. That’s a good way to look at it. I will keep that in mind. Thank you for the memoir recommendation. I will have to check that one out. And thank you for putting mine on your to-read list. Appreciate your comments. Thank you. Title not uplifting???!!!! WTF??!! splutter splutter splutter….in the parlance of today’s young people, I can’t even. CC, I know, right? It’s cancer for crying out loud.